There is nothing wrong with organizing an evening potluck. You call your friends and tell them to take the best thing out of their fridge and share it with everyone. Or you can invite them and tell them to bring their favorite potluck recipe. As I said, there is nothing wrong with organizing a real night out, except for the fact that there is a good chance that the food is uninspired or repetitive. Chances are good that with the classic potluck approach, a group of 10 people will come with five trays of brownies and 5 nacho trays. It’s good if you are still in college. But if you have spent the dormitory phase, your tastes have probably progressed, and you will welcome a more diverse and interesting food. A good potluck organization plan will help mitigate the risk of duplicating dishes. But add a theme to your party and the food will be more interesting and fun as everyone compares the notes on how they interpreted the theme. 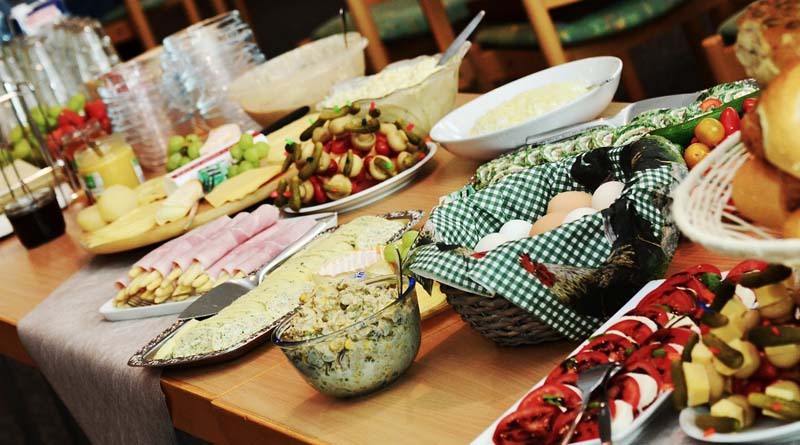 Just remember, to host a good party, you need to follow these Potluck Etiquette Rules to keep everyone happy and make sure you have food for each class. Movie theme – Choose a popular movie. Maybe you could choose one of these films for the greedy. You could even have a projection of the movie during the party. Then ask the guests to make a dish that echoes the theme of the film. For example, if the selected a French movie, the theme of your evening would be French cuisine. Reading Club – A reading club evening would be held at a regular reading club meeting. Each member would bring a course set that has been assigned to him/her, which reflects the book. Family Heritage – Everyone should bring a dish that reflects their family heritage. You could end up with a sushi appetizer; The Argentine Picada as the first course; Italian bread soup; Dutch chocolate cream for dessert. Appetizers and desserts – These two dishes are often the favorites of any party. So cut out the middle course and give everyone an appetizer or dessert. Make sure everyone tells you exactly what they intend to bring so you do not end up with 5 nacho plates. Eat like a child, but better! – Ask your guests to bring a childhood classic that they have “put up” for the tastes of adults. For example, macaroni and cheese could be enriched with lobster; franks and beans can be made using chorizo ​​instead of hot dogs; butter spaghetti is a classic but substitutes truffle oil instead. Salad Supper – This is a great party theme for the summer. There are salads for each course, starting with an antipasto salad and ending with a fruit salad. As a host, you should make sure you have large bowls of ice cream ready to cool perishable salads at an outdoor party. Fall Pots – Just as salads will hit the square at a summer party, pans are the thing for fall. Who does not like the sight of a hot and comforting pan when the weather gets cold? And the possibilities of hot cooked dishes make me want to fall every day – apple chips, bread pudding, Indian pudding … can you feel the comfort? Letter of the Month – If you and your friends gather monthly for a potluck, you can start the first of the year in January at the beginning of the alphabet with recipes starting with the letter A and climbing a letter each month. For example, appetizers with apples and brie; Avocado, tomato and mozzarella salad; Albondigas soup; Cheesecake Amaretto Mousse. Last Meal – A popular theme is the last meal where everyone brings a dish starting with the letter that begins their last name. For a more creative touch on this theme, ask guests to bring a dish they would like to eat if it was their last meal.